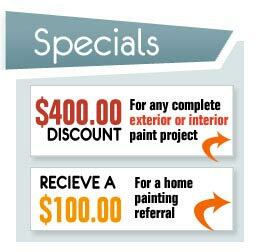 Premier Painting LLC has been involved with many local commercial projects. We have completed the exterior and interior finishes as well as provided custom finishes. The acid etched concrete floor at the True Value hardware store. The venetian plaster finish on the interior walls of The Castle Rock Florist. Premier Painting went the extra mile to ensure our job was completed to our satisfaction. Jon Audet is professional and courteous and provides excellent customer service.